I visited this one the same day as Peppi’s, on a diner run up to Pittsburgh. We hit it a little before the chili, which they are famous for, was ready, unfortunately, but the same day that it got a large spread in the local newspaper. 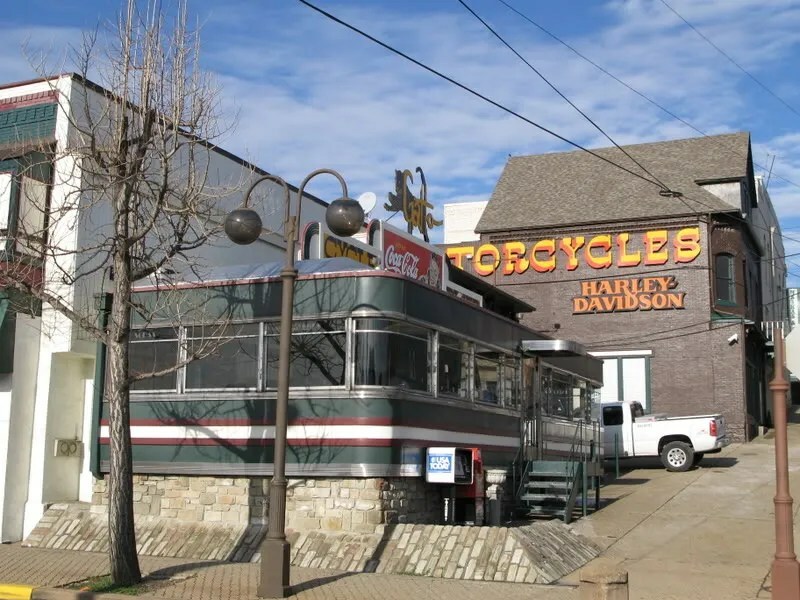 The Gatto Cycle Diner was built in 1949 by the Jerry O’Mahony Company. 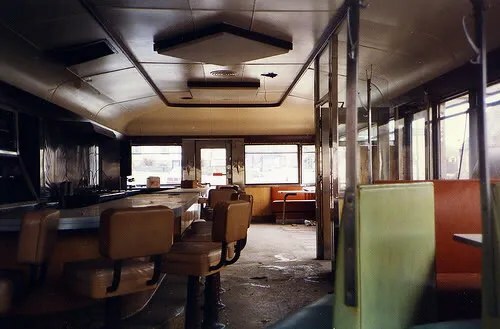 It is the same model as the Tastee Diner in Silver Spring, and like the Tastee, the original, matching factory kitchen, visible in the pictures of it as Digger’s, is no longer in existence. It is now attached to a Harley Davidson dealership, and is really secondary to the motorcycle shop. It was abandoned for some time, and was in fairly poor shape by the time it was moved to Tarentum. Though it is obvious, at least to experienced eyes, that a good deal of the diner has been remodeled, it isn’t overblown, and looks essentially the part. 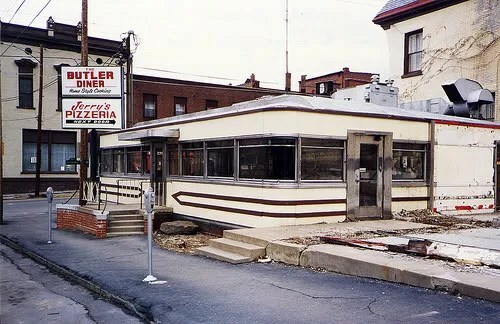 Here is the diner as it was in its original location, in Butler, PA as Digger’s Diner. And as it was between locations. This entry was posted in Diners / roadside related, Diners/ restaurants, Jerry O'Mahony, Inc., Roadside attraction and tagged 1949, Biker, Butler PA, Butler Pennsylvania, Chili, Chopper, Coca Cola, Digger's Diner, diner, Gatto Cycle Diner, Harley, Harley Davidson, Motorcycles, O'Mahony, Pennsylvania, remodeled, Silver Spring Maryland, Tarentum PA, Tarentum Pennsylvania by Spencer Stewart. Bookmark the permalink. I’m thinking the date you have for this diner (1949) is a little late. O’Mahony built these just after WWII when they could not get stainless steel for their building purposes. So they resorted to a porcelain enamel exterior skin on the diners they were building until they could get more stainless steel. An interesting example is Kelly’s Diner in Somerville, Mass., this diner (basically the same model as Dight’s Diner, the Gato Cycle Diner’s original name) was originally located in Delaware had the porcelain above the windows and stainless steelw/flexglas strips below the windows. It would seem it was built during the transition from the porcelain models back to stainless. By 1949, O’Mahony was using stainless steel exclusively on the exteriors of their product. You’re right. I think I grabbed the ’49 off the Gatto website, but, you are, of course, correct. It should be more like ’46 or ’47, right? My favorite bit on this model are the corner windows, how they wrap all the way from the front. Can you tell me more info about the Venus Diner and its current location. I would like to know the history of the car. 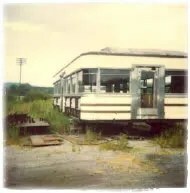 I think you site is great preserving the history of the diner cars.